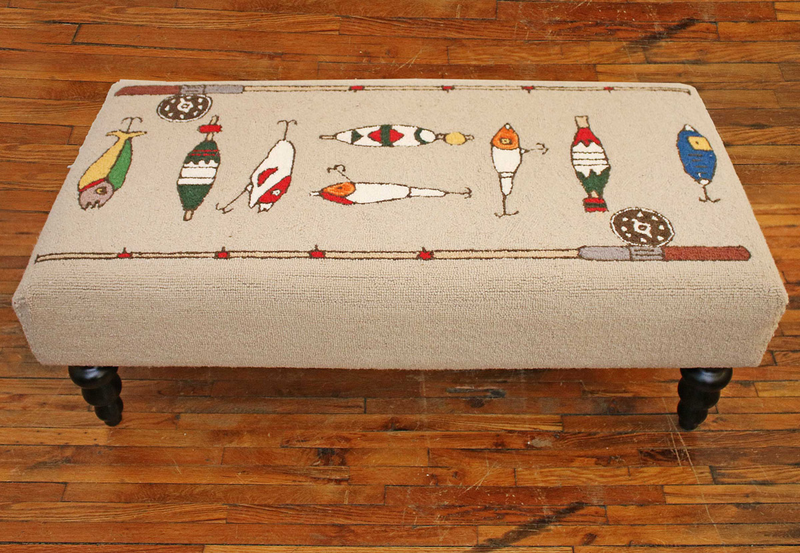 The Fishing Rod and Lures Hooked Wool Bench adds lakeside style to your entryway with colorful fishing rods and lures on a caramel background. Ships from the manufacturer. Allow 1 week. Cannot express ship this beach style furniture. For more offerings, we invite you to take the occasion to review our whole inventory of beach style benches at Bella Coastal Decor now.